Supporters and opponents of Proposition C on San Francisco’s municipal ballot next month have squared off in a public debate over the measure. It’s another example of how the political process can have a huge impact on community-based nonprofits. 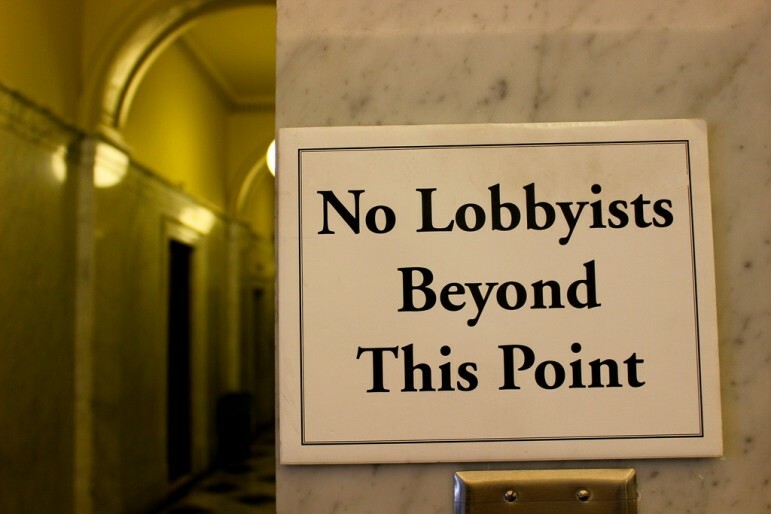 Prop C restores the city’s regulation of lobbyists and limits on their activities and expenditures, which expired in 2009; it would be similar to regulations in other cities. But the big impact for nonprofits is that it eliminates the exemption enjoyed by nonprofit advocates under the previous law. This has generated considerable debate in the Bay Area’s nonprofit community. Two op-eds in the San Francisco Examiner illustrate the points of the debate. In a column supporting the measure, journalist and ethics advocate Larry Bush argues for a “yes” vote. In a notable case this year, no pretense was made to hide behind a nonprofit. San Franciscans were deluged with mailers, ads and online appeals urging the public to call City Hall to demand an EIR on a contract for Recology, the trash-hauling company. It never said who paid for it, or how much was paid. Insiders knew it came from Waste Management, which had lost the contract to Recology and was trying an end-run to get the contract for itself. Bush says that the measure has support from former mayor and Sen. Dianne Feinstein, retired judges, a number of city supervisors (councilmembers) and past officials, as well as the Sierra Club and the San Francisco Coalition of Neighborhoods. It was placed on the ballot by the city’s Ethics Commission on the recommendation of the Civil Grand Jury. It is viewed as a way to increase transparency in San Francisco’s politics. He argues that Prop C includes reporting exemptions for certain nonprofit activities, such as general communications with their members, or if they spend under $2,500 a month to lobby the public to in turn lobby City Hall. “By doing so, instead of running the risk of failing to comply with complicated registration and reporting requirements, many small and medium-sized organizations will simply decide not to engage in advocacy,” they go on to write. They point out San Francisco’s traditionally broad reliance on community and faith-based organizations that provide health and human services for children, youth and their families, seniors, people with disabilities, homeless families and people with HIV/AIDS, affordable housing, arts and cultural resources, job training and small business economic development assistance. This is in addition to the robust network of neighborhood associations that are key players in the city’s policy-making processes. In a process that had no community outreach, Prop C’s creators inserted poorly drafted language into an otherwise commendable measure that will have a chilling effect on those voices. It was a mistake. The measure’s authors missed the target and are now explaining the mistake away by arguing that it’s simply acceptable collateral damage for the larger cause of clamping down on the astroturf nonprofits. Nonprofits often spend money on research, media, reports and studies, and polling to educate or engage the public on city policies. The intimidating prospect of small nonprofits being required to register as “lobbyists” will have a chilling impact on this advocacy and civic engagement work. Adding new bureaucratic hurdles and fiscal liabilities for small organizations will drive many nonprofits out of public policy debates, and consequently disempower low-income and vulnerable populations. San Francisco’s grassroots and neighborhood organizations have a long history of successful public interest advocacy for significant social, environmental, economic and cultural changes to address community needs, from civil rights to health care. This service-based and community-building mission is far different from private sector industries, nonprofit front organizations, and individuals motivated by personal gain. The drafters of this measure could have focused on corporate disclosure of large donations to nonprofits for lobbying purposes. Almost three dozen nonprofits which previously had been property-tax-exempt found themselves with tax bills this year in Norwich, Connecticut. Could this happen to you?